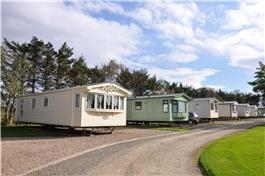 Myrus Holiday Park is a peaceful, family run park situated in a wooded setting yet only a short distance from the shores of the Banffshire Coast. 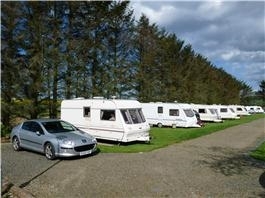 Myrus Holiday Park is quiet, family run park situated between the historic fishing towns of Banff and Macduff. Within two miles of the site there is the award winning Macduff Marine Aquarium with daily fish feeding by divers. Duff House Country House Gallery A treasure house with an extraordinary history, it contains masterpieces from the National Galleries of Scotland. For the golfer there are two golf courses Duff House Royal and Royal Tarlair, both within a mile and a new 13 bay driving range and coffee shop adjacent to the park. The park has been totally redeveloped and landscaped to a very high standard and has been awarded a 5* grading from Visit Scotland. 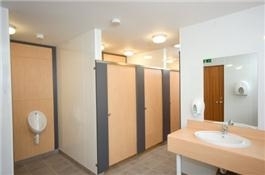 The touring facilities are second to none, with a centrally heated amenities block which has luxurious toilet/showers. 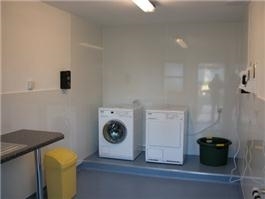 As well as private washing cubicles, a disabled suit and fully equipped laundry to accomodate touring caravans and motorhomes. All touring pitches are spacious having a 16 amp hook up and sat tv connection. There are a number of super pitches having the benefit of water and waste adjacent to the pitch. (Please note that the touring section of the park is for the benefit of adults only, while children are welcome in our holiday homes). We have luxury holiday homes for hire which are fully equipped and of high specification. 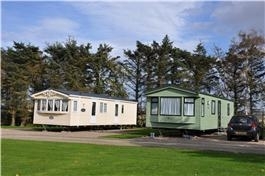 There are also new and used static caravans for sale. Locally there are 2 golf courses and a 13 bay driving range and coffee shop adjacent to the site with walk through access. 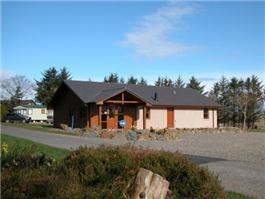 Swimming, fishing and for the walkers miles of coastal trails and sandy beaches. Myrus is the ideal base to explore the many attractions of the beautiful Moray Firth and Banffshire Coast.